NFX2 takes an incredible google and makes it even better. With an integrated removable outrigger the Dragon NFX2 Nate Adams Injected Goggles are able to achieve a tighter seal with the face than any other moto goggle. The outrigger also makes tear-off application and removal a simple and effective task. The NFX2 also features Dragon’s patented frameless technology, injected dual all-weather anti fog treated lens, armored venting, premium quad-foam technology, silicone beaded strap backing, removable nose guard and extra wide peripheral view that sets an industry standard for vision. NFX2 takes an incredible google and makes it even better. 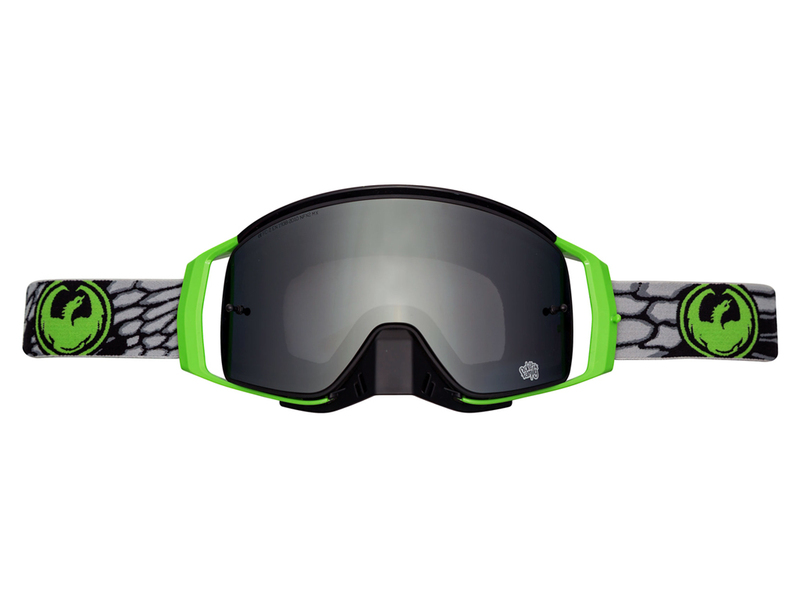 With an integrated removable outrigger the Dragon NFX2 Nate Adams Injected Goggles are able to achieve a tighter seal with the face than any other moto goggle. Category: Goggles. Tags: Adams, Dragon, Goggles, Injected, Ionizes, Lens, motorcross, MX, Nate, NFX2, off, shield, tear.